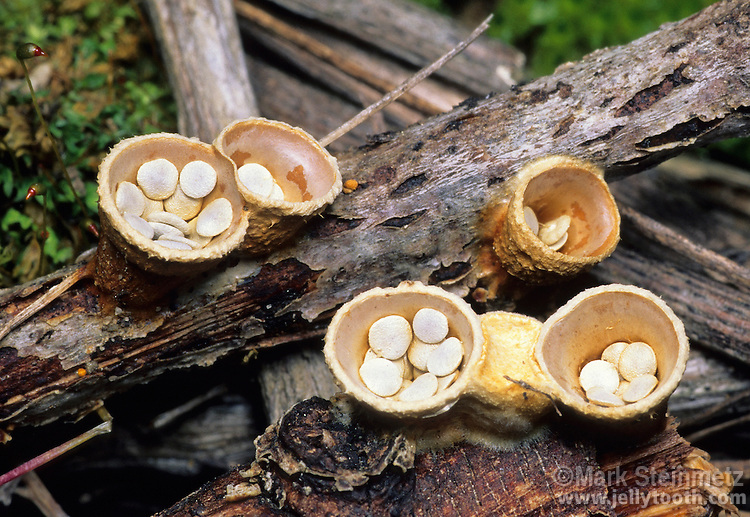 Bird's Nest Fungi (Crucibulum laeve). Also known as White-egg Bird's Nest. So called because of the resemblence to a tiny bird's nest with eggs. The "eggs", or peridioles, contains basidia and spore cases. The "nests" are splash cups--raindrops disperse the eggs. Sometimes referred to as Crucibulum vulgare. Each cup approximately 0.5- 1cm high and wide.